One can usually find Jarvis piloting the ship or annoying the crew with his sarcasm and practical jokes. Normally Joe is the target of this, but only if there is an escape route to safety. If things get serious though, he is someone you can count on. 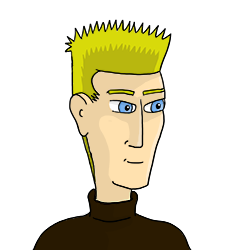 Due to his vast knowledge of things, he's also the informer and is able to get almost any form of information needed for jobs.